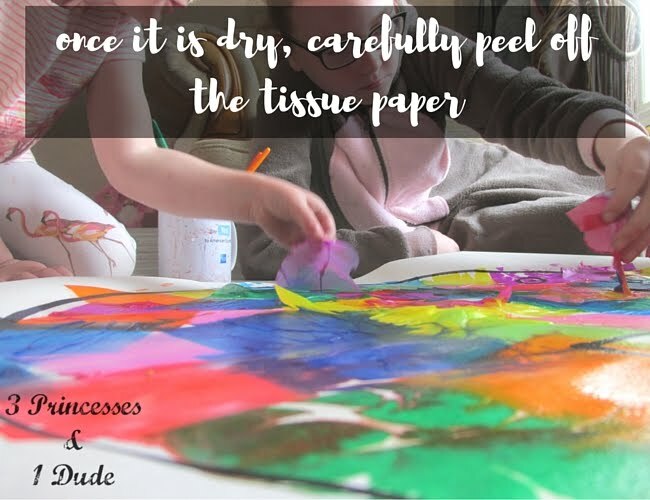 Tissue paper painting was one of the monsters most favourite things to do when we got crafty last summer, but then the summer passed and they got bored of it and it kind of got forgotten about. 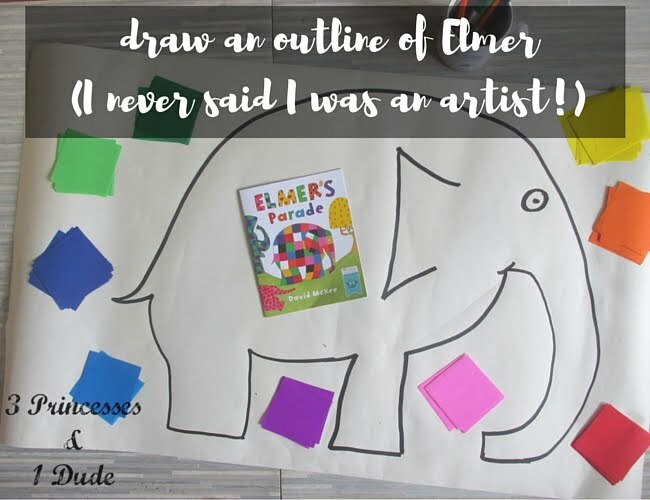 So when Emma at Adventures of Adam got in touch and asked if we would like to join in with the Elmer Day Blog Hop, I thought this would be a great opportunity to re-visit one of our favourite crafts of 2015 on a LARGE scale! *note* some of the darker colours may stain so make sure you do this on a protected surface and keep clothes covered! Once all of the tissue has peeled you should end up with something like this... 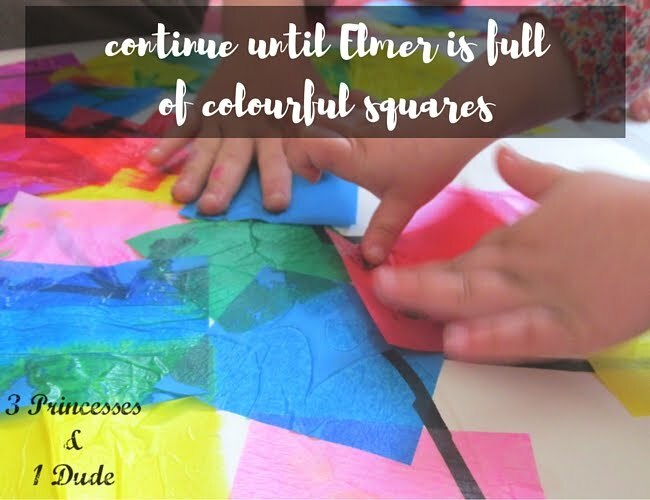 I absolubtly love the effect the wet tissue paper had creating our Elmer! 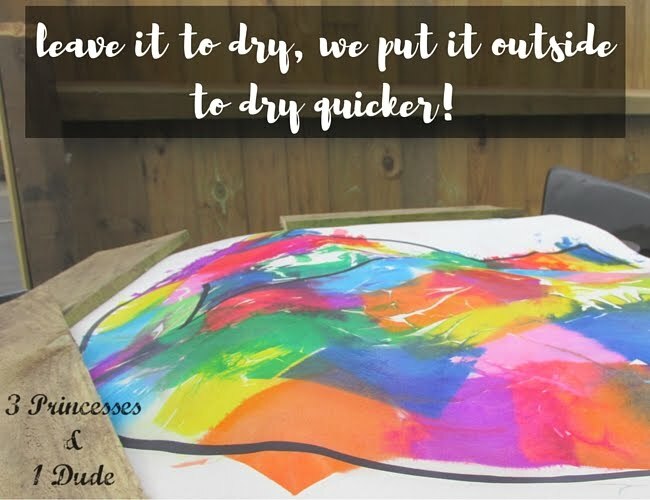 Have you tried tissue paper painting before? Maybe your thinking of giving it a go! If we have inspired you we would love to see your photos on our Facebook page. Wow, that effect of the tissue paper looks incredible! 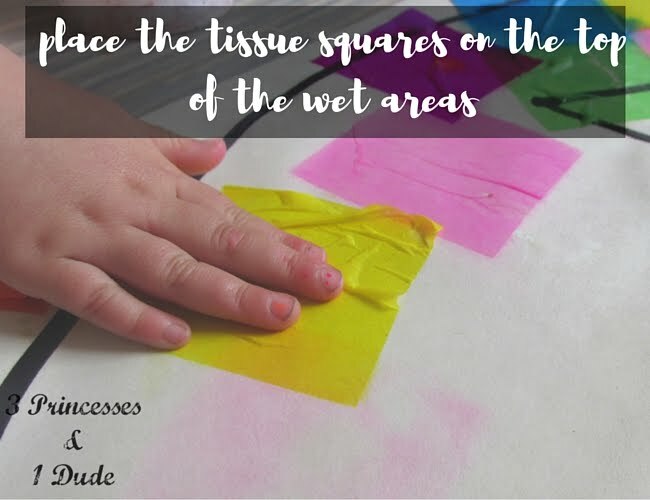 We're also big fans of tissue paper squares, but we always glue them on, this technique looks like a lot of fun! 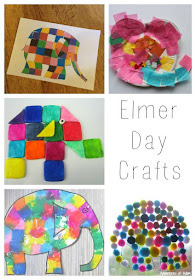 This is a beautiful way to make Elmer. 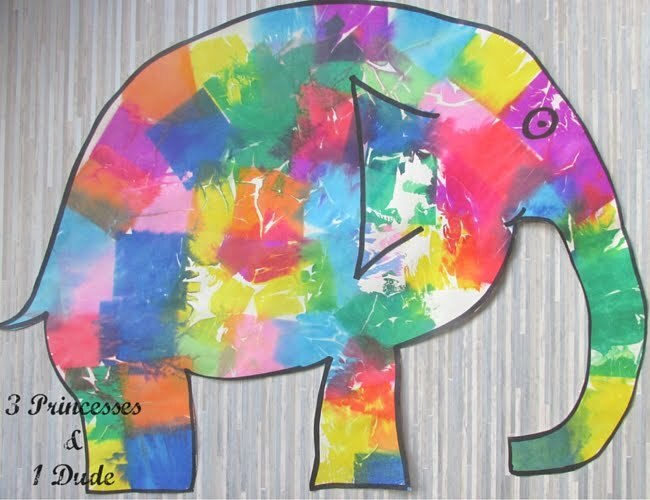 I love how you used the tissue paper in this craft, very creative. 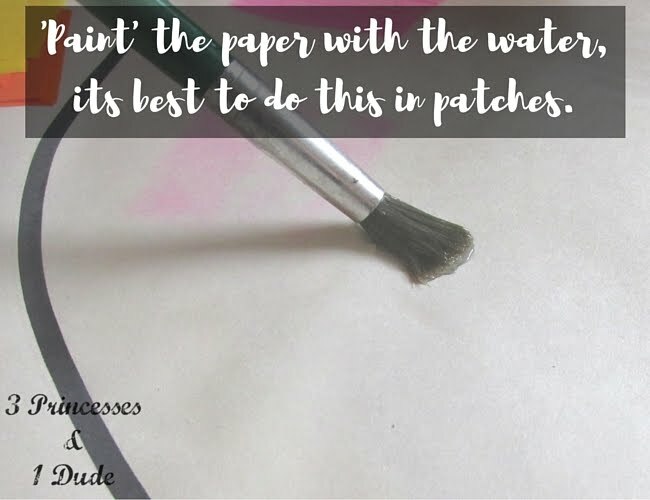 I love this effective technique, it looks fab! What an effective way to use tissue paper! 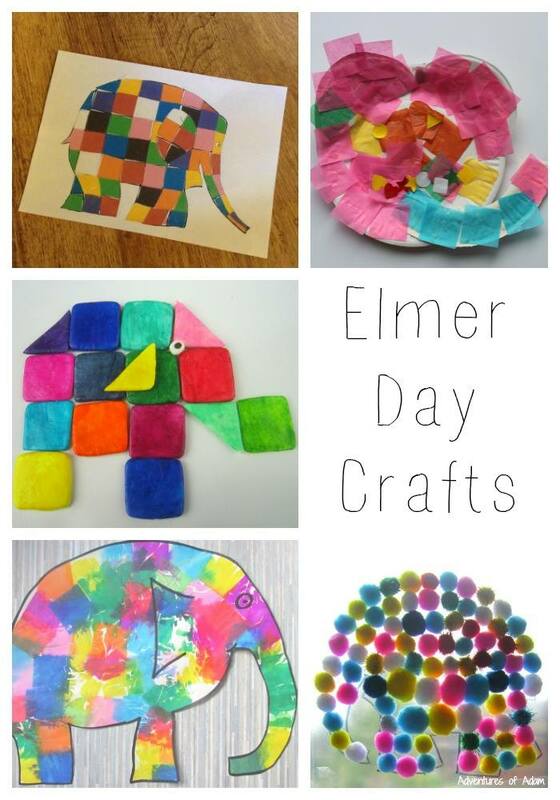 Brilliant way to get lots of children crafting at the same time to create a huge display. 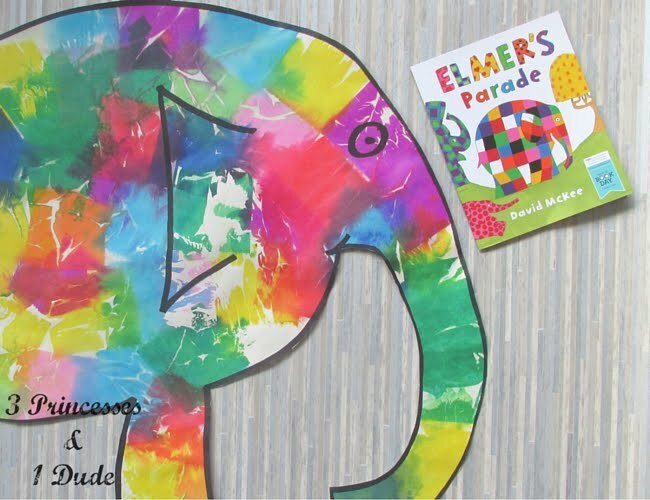 We love Elmer! This has turned out amazing Becky so bright and colourful. I love how this activity turned out. 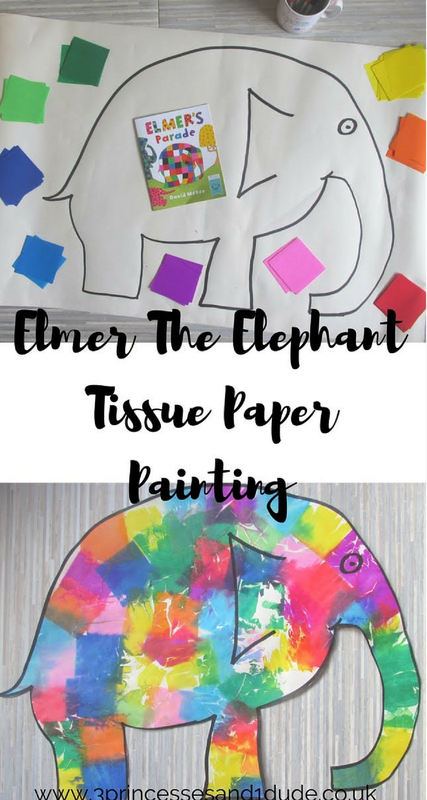 Clever use of tissue paper and water to color Elmer the elephant.